Connect with your customers: Sending a potential customer a tweet after they have begun to follow your business is a very good way to increase customer appreciation and trust. You will also benefit from the fact that you can keep an eye on what your customers are tweeting about your business. This feedback is invaluable. Access to free marketing: It takes but a few minutes for you to create a 140-character pitch for your company. At the click of a button, your message can instantly reach every single one of your followers who is online. And best of all, it’s basically free. Keep customers updated: Of course, you know how important it is to keep your customers updated. Twitter is one of the best platforms to use for this because its messages are short and clear. So, it’s easy to use to keep your customers posted about your latest promotions, sales, and special offers your business is having. Market your heart out: If you don’t think that Twitter is a great marketing tool you are very mistaken. In case you didn’t know, all tweets are indexed by Google, this means that they are a useful means of search engine optimization. Build a community: Twitter is not only good for marketing and customer retention, but you can also use it to build a strong community. Use Twitter chats to connect with customers while also increasing your chances of getting favorites and retweets. These will boost your company’s visibility and give you the opportunity to get more customers. Tweet-up your sales: Marketing surveys show that up to 60 percent of a brand’s followers are more likely to recommend products or make purchases after following a brand on Twitter. Twitter followers are also more likely to sign up for services or buy from the brands they are following. If you haven’t started tweeting about your business yet, or you want to make sure you’re getting the most from Twitter, here are some tips to help you out. Search Twitter for companies similar to yours and start to follow them. Check out how often they tweet, what they tweet about, and what other content they post links to. This will give you a reference frame from which to choose how to manage your own account, and it will also help you get an edge on your competitors by staying one step ahead of their game. Make sure you use a good profile picture of yourself or your company logo. Many people will not follow users without one. Fill in your biography details as most new followers check out bios. If you don’t take the time to make it interesting, why should anyone follow you? Twitter Lists are a neat built-in tool that enables you to organize your followers and their tweets into specific groups. You can also sort your lists into public or private groups that only you can view. Lists allow you to use Twitter to deliver information globally to everyone and locally to your target groups. You can also automate tweets to match specific time zones. Post crisp and concise sound bites that are 100 words or less, so that followers can read them quickly and remember them. Use hashtags (#). A hashtag which directly precedes a word or phrase has a number of beneficial uses. Place one before the name of your company or brand (#mybusiness) to improve the chances of other tweeters finding it via a targeted search. You can also ask users to include them in their tweets as part of a marketing campaign. You can use Twitter search to check up on your competitors and see what people are saying about them. But bear in mind, if you’re on Twitter, your competitors are probably keeping an eye on you and your followers too. Twitter is also a great way to get feedback about your business. Don’t be afraid to ask questions and always answer promptly when you are asked for information. As well as talking about your products and services, promote those of others, as this can help get retweets from other people to expand your network. Post links to interesting information and news relating to your business. Don’t forget, Twitter helps you maintain a global human connection; share some information about yourself to develop strong connections. Don’t sweat too much about your number of followers. If you keep your posts regular, informative and honest, you should soon develop a steady following that benefits your business and marketing efforts all around. In these days of rapidly changing, competitive business markets, customer retention is crucial to business success. The way you treat your customers, could, in fact, be one the of the key factors which differentiate you from your competitors. Here is a rundown on some of the best strategies for keeping your customers close no matter what type of business you run. Reward your customers: Loyal customers deserve something in return. Send them a gift, offer them a discount, make purchasing with your company a continuously pleasurable experience. If they are business owners, give them a lead. Use their services: If your customers are business owners too, use their services or buy their products. This is a great way to build loyalty. Show your thanks: Make sure you show your appreciation to loyal customers by sending them a thank you note on a regular basis. Be prompt: Don’t beat around the bush when it comes to returning calls. Call your customers back as soon as you can. Be true to your word: Don’t make promises you can’t keep. If you state you’re going to do something, do everything possible to follow through. Don’t be tardy: Always do something when you said you were going to do it. If, for some reason, you can’t stick to the arranged schedule, let your customer know as soon as possible. Be accessible: Show your customers that you are always available if they need to communicate with you. You should always be open to meeting with your customers if they wish to see you. Be trustworthy: It’s important that you establish your credibility straight away. Otherwise, potential customers will drift over to your competitors. Stay in touch: Bear in mind that your best customers are the ones you have now. Don’t take them for granted. Stay abreast of their wants and needs. Be able to apologize: Sometimes things unavoidably go wrong. Always be ready to apologize but saying sorry isn’t enough. Have a gift you can send to customers when you make a mistake. Make business a pleasure: Make it easy and pleasurable for your customers to do business with you. Make sure your business practices are for the convenience of the customer, not just your own. The more enjoyable it is for customers to do business with you, the more business you will have. Get to know your customers: A great way to do this is to set up a customer advisory team. The team can collect and collate information about your customers’ needs and wants so that you can develop a more customer-oriented business. Be a solid resource: Whatever your customer needs, make sure you can get it. This applies even if it is something unconnected to your business. Speak your customers’ language: Don’t fall into the trap of using jargon or terms that your customers will not understand. Keep things simple without talking down to them. Maintain a good attitude: Always be kind and patient with your customers, this will increase customer loyalty. Never be indifferent towards them. Maintain a mobile state of mind: Remember, these days, customers interact with businesses on mobile devices more frequently than ever. Make sure that you provide your customers with a positive mobile experience. Offer limited time promotions: This is a good way to keep customers coming back, especially if you’re discounting products that they buy frequently. You can highlight promotions at the checkout stage. Stay social: Social media offers unique platforms for staying in touch with your customers. You can keep them posted about sales and special offers, as well as new products and services. You can also get feedback from them. Engage relevantly: Your company must be able to engage relevantly with your customers. Otherwise, your brand will be letting you down. For example, in the case of cart abandonment, you can send a follow-up email to encourage the customer to complete the purchase and also set up recommendations for future purchases. Celebrate occasions: Don’t just celebrate holidays with your customers, try to find out when their birthdays are, even if you are in different parts of the world. Mother’s Day and Father’s Day are also good times of the year to send a personal note if your customers are parents. As well as a note, a gift card is a nice sign of appreciation. Create a VIP program: Achieving status can be a big motivator for customers. A VIP program enables customers to collect loyalty points and use them to get special offers. Because buying products increases customer rewards, your customers will do business with you more often; they are more likely to shop. Developing close relationships with your customers is something you should be thinking about 24/7. There are many opportunities for you to strengthen the bonds between new and existing customers. It’s good for business, and it’s good for morale. Try these tips, and you can’t go wrong when building a strategy that keeps your customers as the top priority. A chief role of managers and customer service employees is knowing how to create a good experience for their customers. As a business owner, it is essential that you develop a strong customer service strategy that your employees can easily navigate and understand. This strategy should effectively incorporate key points that will take your customer service to the next level. The goal of any business is to expand and create the most profits, and the best way to make this happen is to provide excellent customer service. Your goals as a company should include an effective customer service strategy. Begin this strategy by employing a strong management team that is skilled in leadership, communication, and service. Once you have a strong team, you can begin to develop your customer service strategy. Before you can work on a plan, you must compile a list of goals that you wish your business to achieve. Once you have figured out what you want to see from your company, you can begin to map out a plan to execute the plans. Share your vision of the future of the company with your employees so that they can keep your goals in mind when carrying out tasks. Frequently, a business will fail because the owners were unable to understand what the customer wanted. Businesses will assume that they know better than what their customers want and then provide them with a product that won’t sell. Your business needs to have a plan in place that will allow customers to express their opinions freely. To set this plan in motion, begin by initiating communication with the customer. This can be done through feedback surveys, comment cards, and focus groups. Customer service employees should be adequately screened and vetted with the customer in mind. The agents that you hire should encompass many traits, including empathy, excellent communication skills, patience, problem-solving skills, and a keen ability to stay positive when dealing with a negative customer. All agents can be trained for certain things, but you can’t teach someone to have a different personality. Now that you know what the customer is looking for and you have a team that can effectively communicate, you can begin to create small goals to improve your customer service strategy even more over time. An example of a more modest goal instead of an overall vision is to answer calls within a specific timeframe. These small goals will help you achieve your bigger goals and overall vision in time. Be sure that your employees are aware of these new goals so that they can be held accountable for delivering that same high level of quality. If you find that a goal isn’t quite achievable, you can work backward and find out what is stopping your team from being able to reach their goals. Although you already hired a stellar staff with all of the qualities that your business needs in a customer service agent, you still need to deliver consistent service. The best way to stay consistent with your customers is by training all of your employees thoroughly and regularly. Train your employees on product knowledge, frequently asked questions, and provide them with a set of guidelines to follow for each phone call. Be sure that your staff is always up on current standards by using call recording to capture missed details, learn additional information about customers, and to improve the quality of every call. Your agents and managers should be held to a standard of consistency and quality. Practice regular performance reviews and be sure to share with your employees the customer service data so that they can see the fruits of their labor. When your employees are continually adhering to quality standards and surpassing goals, they should be rewarded for their efforts. All work and no play can create gloom in the workspace. People work better with positive reinforcement, and you will want to keep the people who deal with your customers directly to always be in a positive headspace. Prioritize a work/life balance with your employees and provide perks. Organize a happy hour with your customers, encourage a casual Friday, or reward your employees with an ice cream social or pizza party for lunch. Showing your employees that you appreciate them never has to break the bank, and any effort you make to recognize them for their service will result in a positive response. Customer service can be a difficult industry with a high turnover. 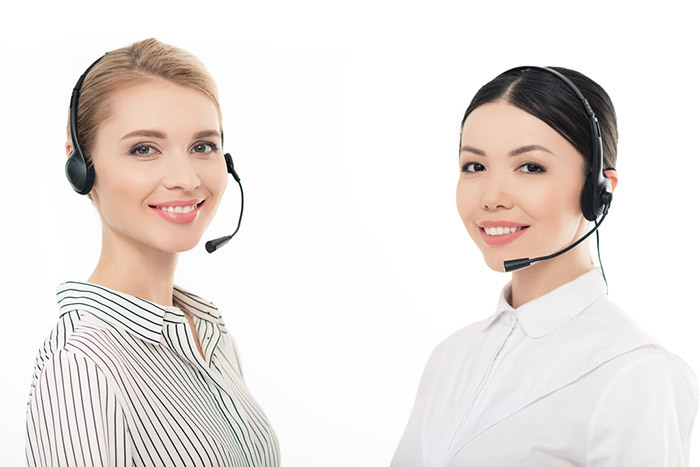 But there are a few secrets that the best customer service agents use to stay friendly, clear, and knowledgeable when in communication with their customers. 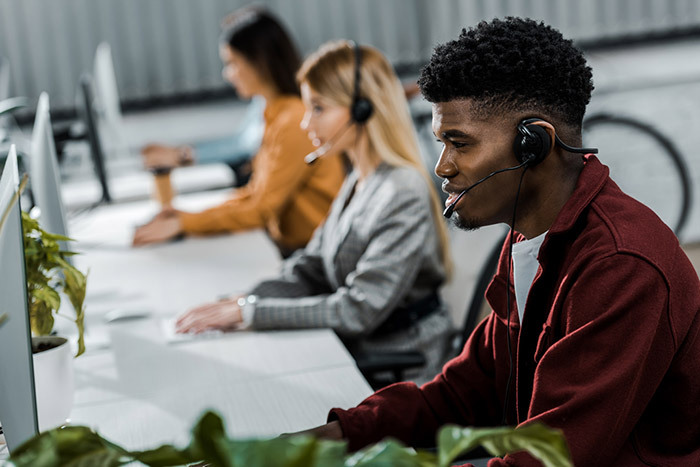 Whether your agents are using phone calls, social media, email, or all three, there are specific skills that every customer service agent should incorporate. Each method of communication requires different customer service skills and some overlapping skills are needed throughout all three. If you are ready to start interviewing customer service agents or are looking to train up your staff, these fundamental skills are what you need to be on the lookout for. Never interrupt your customer, even if you already know how to solve their problem. Listen to their entire complaint, then respond with your answers. If you miss an important detail from their complaint or question, then you cannot correctly solve their issue. Never assume you’ll know exactly what the customer will say. 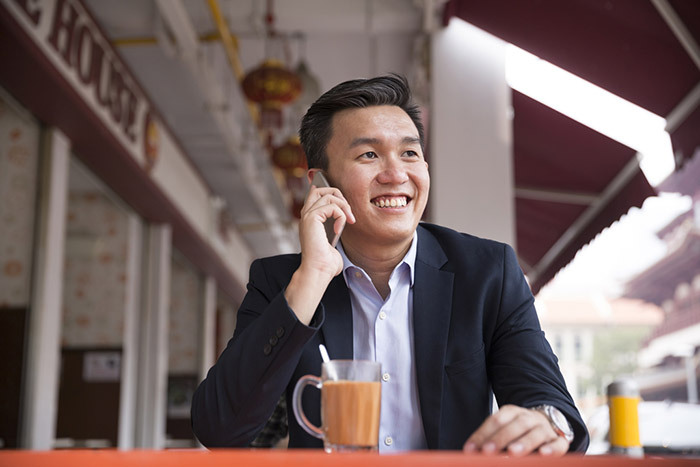 Smiling over the phone can convey a positive attitude in your voice. Although the person on the other end cannot see your face, they will be able to pick up on clues that you are smiling through the tone of your voice and the way that you are speaking. Use your judgment when using this tool. No one will appreciate you smiling through their problems when they want you to sympathize with them. After you have listened to your customer’s entire question or complaint, don’t forget to let them know that you understand where they’re coming from and that you are happy to be helping them out. Again, customers want you to sympathize with their problems, as well as solve them. This is a humanizing trait that makes your company come off as caring and authentic. Mirroring is a way in everyday life to make other people comfortable and subconsciously show that you are listening and interested in what the other party is saying. It is a great tool to use on the phone, in person, or through text messaging as well. Watch how often you use this tool as mirroring a customer’s anger won’t do your company any favors. Be upfront with your customer. In other words, don’t lie to your customer and say that they will be on hold for 30 seconds when it’s going to take 15 minutes. They will most likely hang up and be angry the next time they call you, if they decide to ever call again. This is an essential rule for all customer service agents. If the wait times are incredibly long and you don’t want to lose your customer, offer to call them back as a courtesy to save them from waiting. Templates are like scripts for your agents to follow. However, instead of coming off as mechanical like an agent would if they were merely reading from a script, templates are more of a guideline. These guides can contain answers to commonly asked questions and other useful strategies to keep your agents from getting stuck. When your agents use these helpful templates and guidelines, they should still be adding their own spin to them. Everyone’s personality is different, and when your customer agent shows off their unique personality, the advice and guidance they are giving comes off as more authentic. When responding to email, chat, or social media, be sure to reply promptly. Chat and social media should be instant, while email has a slight leeway time. However, emails shouldn’t take that long because your customers might get concerned that you didn’t receive their message. Consider setting up an auto-response to emails letting your customers know that you received their email and will be responding with an answer to their inquiry in a suitable time frame. Your customer service agents should know the questions that they need to ask their customers in order to get a complete story from them. Once they have all the facts, they need to be able to summarize the issues and come up with the best solution. Your customer service agents should be able to handle a variety of customer service channels and be able to multitask. All agents should be trained in chat, phone service, and social media. Motivating your call center team can do wonders for your company. An easy and fun way to do this is by introducing games and activities that can be done in the workplace. After all, work doesn’t have to be boring. These games will encourage employees through competition, and you will see an improvement in company sales and overall workplace culture. Read on to learn about six simple games that your call center employees will love. This game is reminiscent of a childhood game called “hot potato.” The premise is that your manager provides the team with a ball, it can be anything from a baseball to a blow-up beach ball. As long as the object is easily passable and catchable, the game will work. Each time an employee finalizes a sale, the ball is then passed to that employee. A timer is set up to go off different intervals and when the timer goes off the employee holding the ball will win a prize. So, the last person to make a sale when the timer goes off will be the winner. During huge sporting competitions, like March Madness, the Olympics, or the World Cup, your customer service agents can have a bit of fun by dividing up into teams. For example, during the Olympics, your employees can pick out of a hat different countries which will later become their teams. At the end of the Olympics, the country/team with the most medals will be the winner. This game is good for company morale, entertainment, friendly competition, and teamwork. Consider granting the winners a get-together so they can get to know each other better, or merely catering a fancy lunch for them the next time they come into work. Bingo is a classic game that anyone can play, but this way puts a “call center” twist on it. Since call center employees are constantly calling customers, the bingo cards would have different area codes all over the board. When an agent completes a call to that area code, they can they cross the number off. Once an agent completes calls to five area codes on the card in a row, that agent will win. This game will help your agents to become more competitive and boost efficiency. This is a very straightforward contest in which the agent who receives the most compliments from customers receive a nice reward. This can be instated as a year-round game, at the end of each month you can tally up the number of compliments each agent has received and then reward them with a gift. At the end of the year you can add up the compliments, and a winner can be chosen for an even larger prize. This game encourages your agents to be friendly, knowledgeable, and helpful regarding customer interaction. This game is slightly similar to the Pass the Ball game, except the winner is not restricted to timing. At the beginning of the day, hand a ball to each one of your call center agents. Then throughout the day each time, an agent makes a sale they are allowed to get up and take a ball from another agent. At the end of the day, the agent with the most balls wins the prize. This is great for competition and a way to save money on rewards if you can’t afford to gift multiple awards throughout the day. The classic hangman game can be applied to your call center workforce. After a training session, the best way to quiz on retention is to split your employees into two teams and write down a series of questions that they just learned from the training. Each team writes down their answers, and each time a team gets a question wrong they add a piece to the hangman. Keep asking questions until one hangman is completed; then the other team will be claimed the victor. Hangman can help your employees retain more information and get a deeper understanding of the training they just went through. These games are a great way to boost morale in your company, but it is best to check in with your upper management before bringing these games to your office. Some offices may not want their employees to engage in office games, but it is always a good idea to present this idea if it is not on the minds of upper management yet. Good luck and may the best call center agent win! If you are looking to streamline the process in which you select your vendors, consider a Request for Proposal or RFP. An RFP is precisely what it sounds like, and it is a proposal that you can use to compare and contrast offers from a variety of different vendors. Once you are able to analyze your options, you can create a better picture of what is best for your business and for your customers. Outside of RFPs, you can also have a more direct dialect with one or several vendors, whether that is in person or by reaching out through email or phone. When you build a relationship with a vendor, trust begins to burgeon, and you will start to feel more comfortable with the people who you are buying from and vice versa. These relationships help vendors to understand what their buyers want and need and therefore won’t need to offer a service that the buyers don’t need. This also allows buyers to narrow down their selections because they have already seen demonstrations. They can then move on towards comparing prices and quality. When you are interacting with your vendors, another way to approach the buying process is with a Request for Information and a Quote. These are less detailed reports of information that answer some frequently asked questions. This concise and to the point report is used to give enough information up front to where the buyer will then be able to ask informed questions and in return, get an informed response. These vendors target the specific needs of the buyer in question and then focus their energy on what the buyer has decided is important. An even more concise report will come in the process called Request for Quote. RFQ is highly detailed and broken down by a list of the pricing of the object which includes things such as the number of licenses you will need and their prices. The RFQ works similarly to the Request for Information and a Quote because it’s the main focus to create communication between the buyer and the seller by allowing the buyer to ask questions and then receive a detailed response in return. Don’t forget that you can also “shop around.” The internet offers a large number of cloud solutions for your company, and the sites typically advertise everything that is provided and what the prices usually come out to be. Websites often have a chat option, or at least an email and phone number which you can use to get into contact with these vendors. Once in touch, you can then ask more questions and get an even better idea of the exact pricing. Usually, on websites, they are true to what they are selling and if a vendor does not seem to meet your needs, making a phone call is typically a waste of time. If they had the feature that you need, it would be advertised on the site. There is a blind trust in using the internet to select your vendors because it is likely you will never meet the seller in person, which is preferable for some and a turn-off for others. So which one of these options should you choose for your business? Well, that depends on some different factors of your business. Is your company large in scale? That could mean you would need an RFP or sometimes you can get away with an RFI/Q. You must also weigh the risks and complexities of your business as well. Can you trust a source that you have never met or are you concerned about security and fraud? However, if you have a smaller business or a more straightforward business plan, then you can easily find a cloud-based solution online. You can choose on your own time when you will carry out your internet research where you can compare and bid on different vendors. This flexibility is great for smaller businesses and offers simplicity for your process. Plus, because the website often advertises its standard offerings and pricing, you don’t have to guess which one might be better for your business. No matter your business, take your time to consider the best vendor for it. It could take weeks to months of research, but it will be worth it to know that you’ve chosen the best vendor for your company. The customer service representative is one of the most critical pieces of your business. They are the face of your company and the people who you trust to speak one-on-one with your customers. We may sometimes forget how important a customer service representative’s role truly is. They are given the duty to treat customers with respect and find solutions for a myriad of issues that can arise. An angry customer is not an easy challenge to overcome, and your staff needs to be adequately trained in customer service skills and must be talented enough to know how to handle various situations. 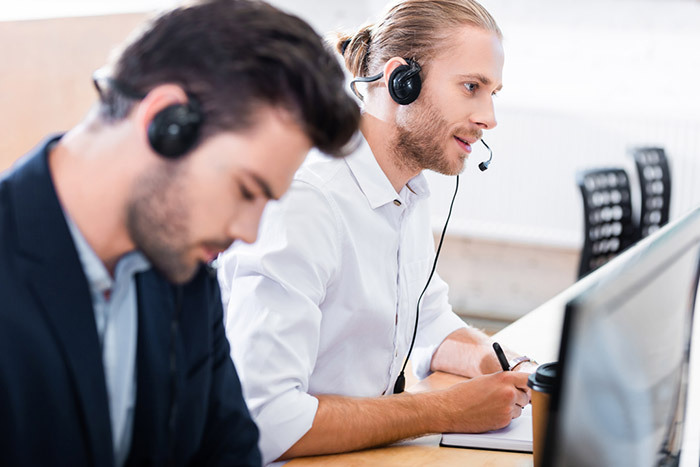 Read on to learn how each customer service representative should handle every single call. Timing is a very crucial part of customer service. The response time to every inquiry should be dealt with quickly and accurately. Customers do not want to wait on the phone all day to ask an agent a question. They also do not want to wait for extremely long periods for a delivery or an email response. Your staff must be trained properly and realize the importance of timeliness in business. Many customers make calls to customer service lines because there is some issue with the product, whether it be damaged, missing pieces, or something else. This can undoubtedly frustrate some people, and therefore some people may come off as combative at first. A customer service representative that is patient, however, can easily diffuse situations with a negative customer. Customer service representatives spend their time interacting with customers. Therefore they need to excel in communication skills. If they are not professional and conversational, perhaps they’re not right for this particular job. Agents need to be concise, but they also know when to make a little small talk. 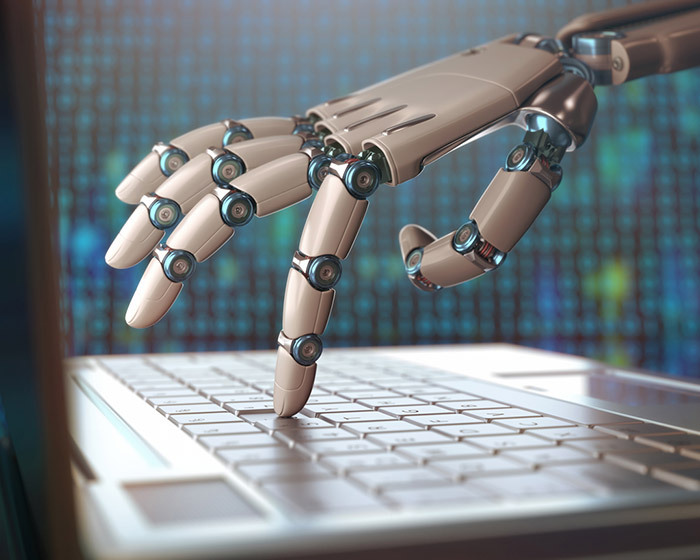 This adds a human touch, but your agents should not be overly conversational, merely adding a personal comment to the situation your customer is describing is enough. Do not interrupt people and resolve their issue as fast as possible without being robotic. Empathy is an essential trait in any customer service agent. The ability to understand a customer’s feelings and being able to relate yourself to their situation can turn a bad situation around. When customers call customer service, they’re usually unhappy with something, and it is important that your customer service representatives apply empathy to every story they hear. Being knowledgeable about the business whom these agents are representing is key in delivering excellent service. Be sure that all of your agents undergo a proper amount of training so that they are equipped with all the tools they need to be successful in this position. Training should happen regularly, not just at the time of hire. Agents should always be knowledgeable about current promotions, new products or services, and on technology updates to the systems they regularly use. All agents should possess excellent listening skills. Sometimes customers need to explain their issues in greater detail, and an agent needs to listen during the entire explanation actively. Also, when an agent offers solutions frequently, the customer is not interested in all of them, and an agent must be able to understand their customers’ opinions and come up with more flexible solutions to suit the person. Along with all of these skills, customer service representatives should always try to go above and beyond for their customers when possible. The best customer service representatives display all of these skills in each and every phone call. But that is not all, they also should be undergoing training, and it is important that your customer service agents stay motivated so that they can excel for your company and turn your customers into loyal brand followers. The holidays have come and gone, and for the rest of the world, they are ready to get back to work. But for retail companies that means it’s finally time for some rest. How did your company do during this holiday season? Were you able to keep up with all of your consumers’ demands? If you were caught off guard this time, you could always prepare for next season. The holidays bring with them a lot of customers looking to spend a massive influx of cash. In order to keep those customers coming back year after year, and of course during the year, too, you want to be sure that your customer service is running at peak performance. Here are a few tips to consider to make things run smoothly all year long, in addition to the holiday season. Since you are going to see a spike in your sales around the holiday season, you need to be prepared with the workforce to handle these new customers and large orders. During September you should begin to start thinking about where in your company you could use a few more hands. That way by October you can start interviewing and hiring more people so that your new staff will be fully trained and ready for the busy season by November. 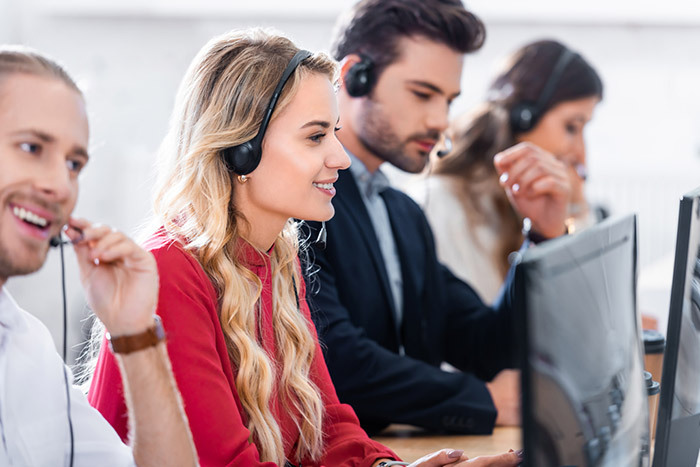 Your current customer service staff won’t be prepared for the influx of queries from your clientele, so make sure that you stack your call center or customer service team with temporary support staff. You should also have a training plan in place and ready-to-go so you can get your seasonal staff on par with protocol and your seasoned team. The holidays can be rough for people who work in the retail industry. While most of us take time off to spend with our friends and family, those in customer service positions don’t have that option. While others are out shopping for presents, customer service associates and call center representatives are at the busiest point in their careers. This can be because of added stress and unhappiness over the holidays. Make it a point to keep your staff motivated and upbeat. This can be done in many ways, such as by offering special snacks, giving bonuses, reminding them of your gratitude for their hard work, and taking the time to speak with each representative one-on-one. If your staff is overworked, one way to lighten the load is to use technology. Your customers probably want to hear a live voice at the other end of a phone, but that doesn’t mean you can’t greet every caller with an automated greeting. This helps to make sure that every phone call is received. You can even set up an automatic email that responds to a customer once an inquiry is received. Self-service portals are an excellent way for your customer service staff to become more efficient. Instead of answering the same questions all day long, their time could be better spent dealing with more complex issues. Set up an FAQ page on your website that customers can read instead of having to call customer service. This can work in tandem with your automated services. For example, if you set up an automated email account, you can send them a message stating that you received their message while also providing a link to the FAQ page. That way they can be routed there automatically to see if their question can be answered right away. This allows your call center staff to free up more time to deal with more pressing issues. Since you will be dealing with more sales than you would usually be used to on a daily basis, be sure that you do not overwhelm your current customer service staff. Since you will be making extra money, you will be able to hire a seasonal staff that can take some pressure off of your current team. Be sure that you have a training manager ready and prepared to train all new incoming personnel, and you can also lessen workloads by creating FAQ pages and setting up automated messages. When you combine all four of these ideas, your company will be ready to take on the next holiday season. You’ve just graduated, and you’re gung-ho about getting your first foot on the career ladder. 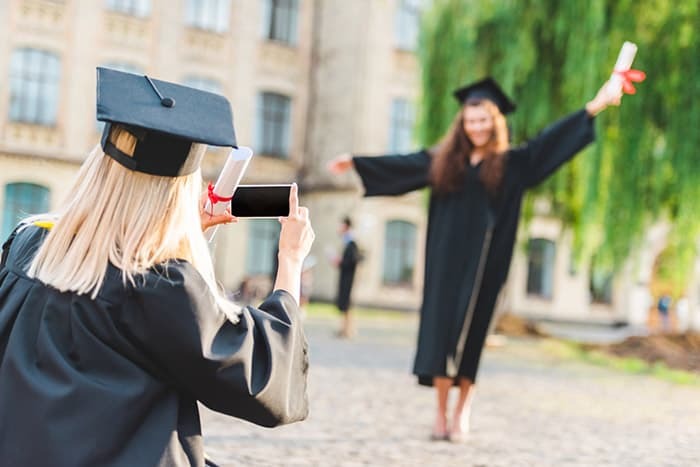 You have a degree under your belt, and you’re bursting with enthusiasm; but are you aware of the skills recent college grads need for landing a job? And do you have them? Here is a look at the skills employees expect from college grads who are looking for a job. You have a lot of competition out there from other college grads, so you need to stay ahead of the game. One of the best ways to impress is by attaining a high GPA. A high GPA counts for a lot in the job market, particularly if you have little job experience. Many companies will only consider grads with a minimum 3.0 GPA. After spending four years in college, you most likely spent a great deal of time honing your writing skills. Despite this, a 2016 PayScale survey revealed that 44 percent of managers said that, in their experience, recent college grads lack proficiency in writing. If you feel your writing skills are not up to par, add a few extra writing classes to your curricula or visit your school’s writing center for assistance. This could prove invaluable in the future! Verbal communication skills are just as important as written ones. These days, it’s vital for meeting clients, making presentations, and pitching ideas. Don’t forget; these activities are needed in many industries, so you need to have this skill in your repertoire. Prepare yourself to be thrown in at the deep end when it comes to your coworkers. Typically, when you’re starting out, you don’t get to choose who’s on your team. You must be ready to pitch in with your coworkers even if they’re not your favorite people. Hiring managers always have an eye open for good interpersonal skills and a team-player attitude. A company that’s hiring recent college grads is obviously not expecting to see ten years’ work experience on your resume. However, any work experience that is related to the position you are applying for is relevant. Even if it was an internship, a summer job, or volunteer work. Many hiring managers feel that recent college grads lack attention to detail. The first sign that this may be the case is your cover letter and resume. Double check them and make sure they are free of typos and grammatical errors. Get someone else to look them over just to be sure. Don’t forget; every mistake you make will be noted, however slight it may be. Another issue that the 2016 PayScale survey highlighted was the lack of critical thinking and problem-solving skills in recent college grads. 60 percent of managers surveyed indicated that their college grad hires lacked these skills. Before you go for your interview, make sure you’re ready to have these skills challenged. You may not come out of college with a whole lot of leadership experience, but you can garner some and show that you have potential. You can do this by highlighting the leadership skills you honed in college by participating in clubs, organizations and community work, as well as captain and mentor roles. Here are some tips for getting your first job after graduating from college. Building your network: draw up a list of contacts including people you have met who are involved in your industry. They may be able to help you with job leads or referrals. Talk to coworkers and people you have met at trade shows and conferences. Developing a strong resume: your resume and cover letter will form the first impression a prospective employer has of you. They should be well-written and relevant to the position you are applying for. Preparing for your interview: It’s important to spend an adequate amount of time doing your research. Gathering information about the history and background of the company you are interviewing with will stand you in good stead during your interview. If you want to make the best impression in your job interview, you should take time beforehand to do plenty of research about the company. Use the Internet to find out the history and background of your prospective employers. Looking the part is crucial for a job interview. 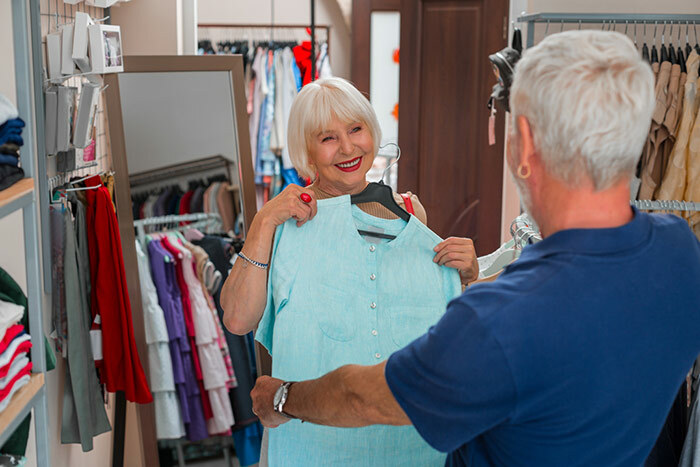 Always wear appropriate clothing and make sure they are clean and unwrinkled. Whichever profession you are interviewing for, make sure that you are dressed professionally to suit the position. to make sure that you can emphasize that and stand out above the other interviewees. Stay on point and don’t be tempted to waffle no matter how nervous you may be. In a job interview situation, you are expected to ask at least a couple of questions about the position. If you don’t do this, your interviewer will tend to think that you are displaying a lack of interest. Prepare three or four questions before your interview. This will also show that you have spent time learning about the company.